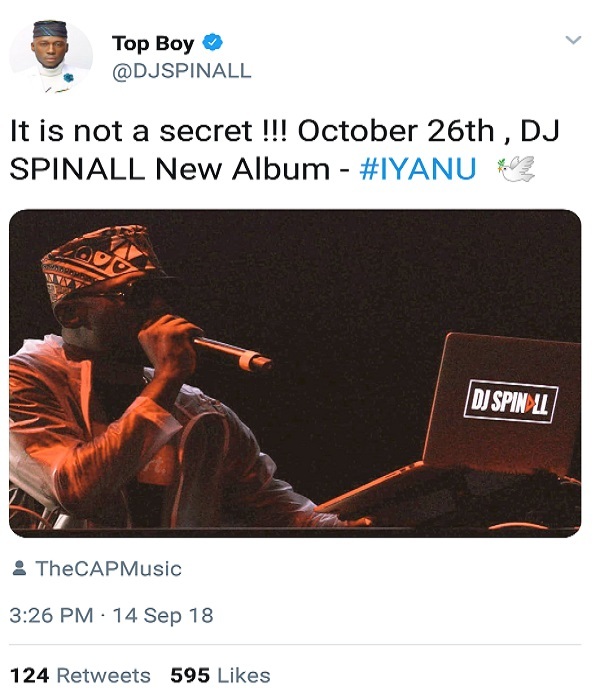 The CAP Music boss and Unstoppable DJ Spinall has revealed his forthcoming album “Iyanu” and releases date as 26th of October, 2018. The award-winning disc jockey made this know on his Twitter page a day ago. It comes after his successive album – Dreams last year.